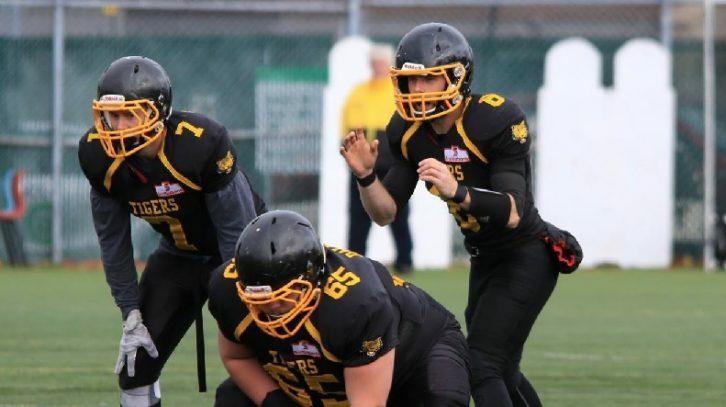 Coming off an undefeated season that resulted in Dalhousie University’s first football championship since 1954, their coaching staff is getting the team prepared for another run this fall. The Tigers went 8-0 under rookie head coach Mark Haggett. 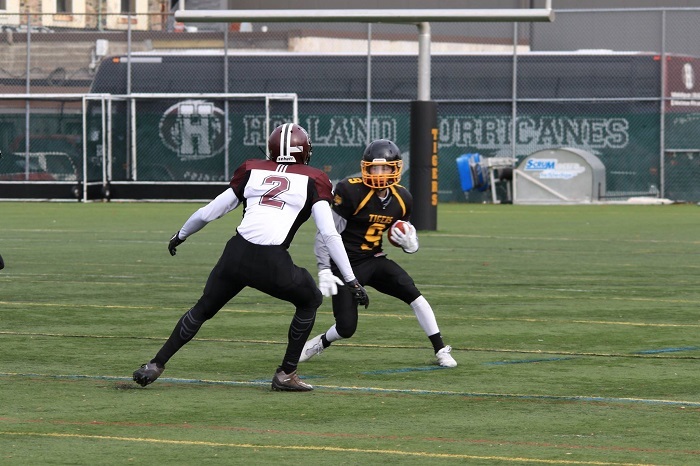 They capped off the season with a victory over Holland College in the Atlantic Football League (AFL) championship game back in November. Since then, the club football team has lost some notable starters. But, with a new recruiting class that’s larger than any they’ve had in the past, a whole new group of talented players are being added to the mix. Star quarterback and AFL MVP Nick Hunsley is no longer playing and is transitioning to quarterback coach. However, along with new recruits, there are some key starters returning as well. One of the returning players is Zack Leger. 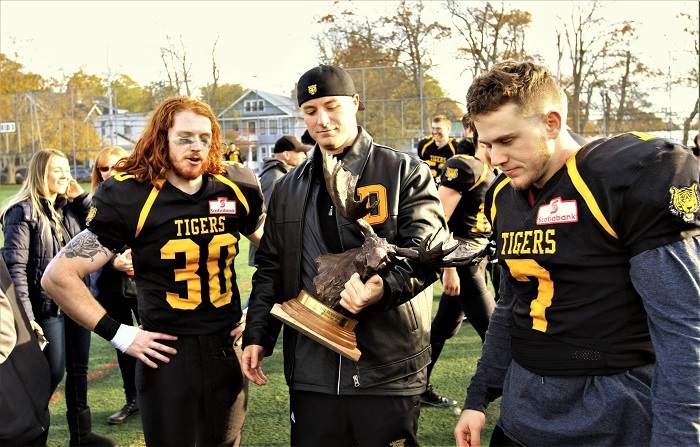 Leger is a running back who earned offensive MVP honours this past season and routinely carved out big runs when the Tigers needed it the most. Haggett sees a bright future for Leger and is looking forward to seeing him add on to his success. All of the Tigers starting offensive lineman are also returning next season. One notable returnee at the receiver position is Spencer Muise. Muise will look to step into the No. 1 receiver role after the departure of Guillaume Bernier and Louis Gauvin. Muise received rookie of the year honours at the team’s award ceremony this year. Pass-rusher Jesse Legault is returning to the defensive line after earning the most valuable lineman award for his efforts this past season. Tegin Davis is another returning player to look out for on defence. The tall and athletic defensive back grew a lot as a player this season and received the most improved player award. The coaching staff has assembled a recruiting class of around 30 players from around Nova Scotia and across Canada. 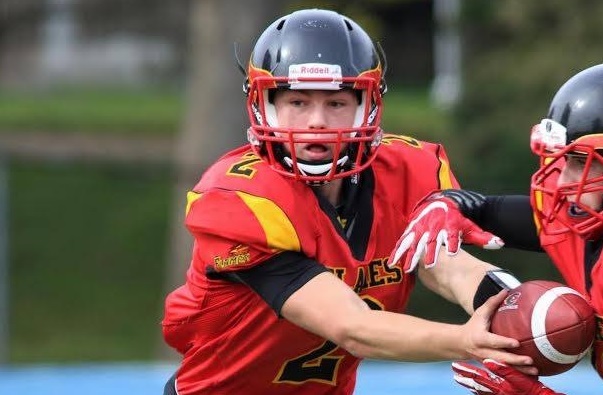 Two new quarterbacks are Chris Duplisea from the Sir John A. MacDonald Flames and Ian Oyler from the Charles P. Allen Cheetahs. The coaches know that replacing Hunsley won’t be easy, but they hope these recruits are up to task. Haggett says it will be an open competition to see who ends up as starter next season. 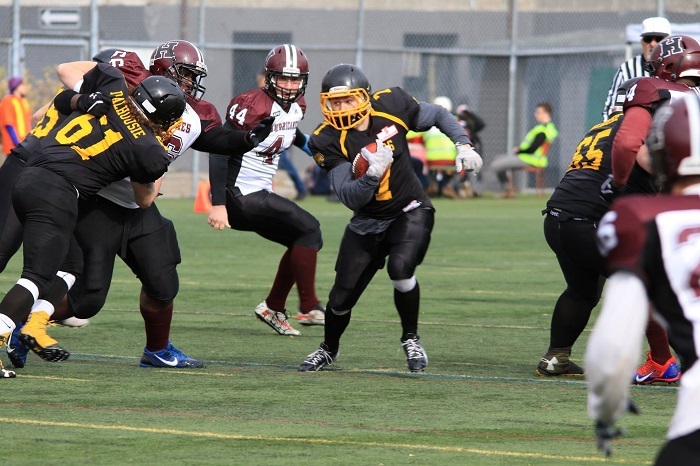 Another recruit expected to make an impact is defensive lineman Michael Aloisi, a high school All-Star from the Halifax West Warriors. Along with Oyler, the Tigers have brought in a number of other players from CPA’s program. Daniel Spilman and Ben Lowther are two new running backs from CPA who are expected to share some of the offensive load. 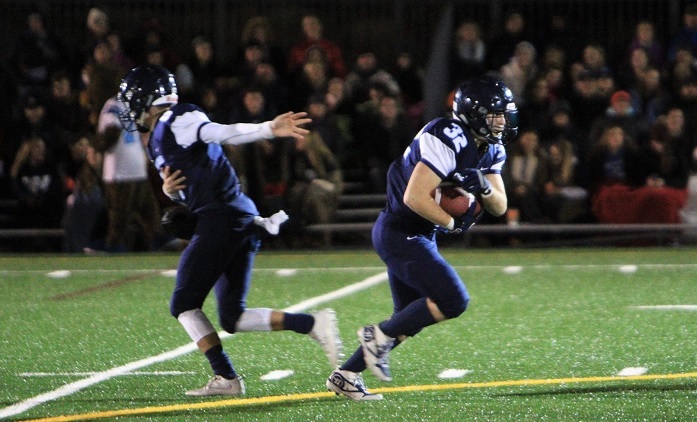 Returning offensive lineman Casey Jones is confident that Leger can set the new runners up for future success. “With this being potentially Zack’s last year, it’s going to pave the way to teach these new guys how to run the ball,” Jones said. Helping the Tigers get over the loss of receivers Bernier and Gauvin will be the additions of Brennan Ciona and Jack Underhill. Ciona was recruited from Lethbridge, Alta., and Underhill is a multi-sport athlete from J.L. Ilsley high school with formidable size at six foot five. The Tigers also have a lot of holes to fill in the defensive backfield, with the departure of several players. Mitch Broussard is a defensive back from CPA, and Haggett says he’s a very well polished player who should make an immediate impact. Two major additions to the linebacking corps are Nicolas Desveaux and Majd Ibrahim. Desveaux just finished playing in the NCAA for Birmingham-Southern College in Alabama. Ibrahim is from London, Ont. 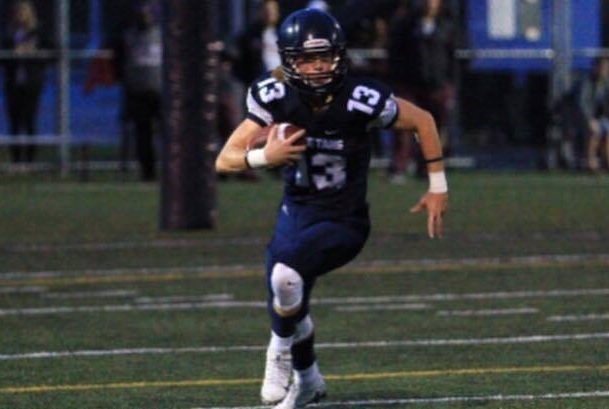 Another new addition, Wyatt Noel is coming over from the Mount Allison Mounties. Haggett said the six foot three, 240-pound defensive end will bring a lot more than size. Along with the changes on the Tigers roster, there are also some adjustments being made with the coaching staff. Chico Francis will serve as the team’s new defensive coordinator after the departure of Steve Majury. Francis coached the defensive backs this past season, but that role will now be served by former player Rob Wilson. Two other new coaching additions are linebackers coach Patrick Mpuanga and defensive line coach Spencer Boyd. One of the biggest coaching changes will be Hunsley’s transition from starting quarterback to quarterback coach. “It’s my role to get the quarterbacks ready and completely prepped to play to their best ability,” Hunsley said. Hunsley said he is looking forward to helping the new recruits with his knowledge of the offence. Evan Brown will return as offensive coordinator once again next season. His offensive game plans were instrumental in the team’s success. Hunsley said he and Brown will work closely together on the offence. One of the reasons the Tigers are where they are today is because of their head coach. From Haggett’s recruiting prowess to the way players respond to him, it’s no secret why he found so much success as a rookie head coach this past season. With many of the new recruits having the kind of talent to excel in bigger football programs, being a good recruiter is one of the main assets Haggett brings. Hunsley agrees that something special is being built under Haggett’s leadership.